stop creating and airing their commercials. 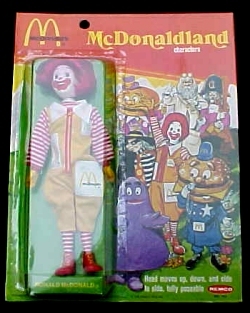 sword, Big Mac's whistle and badge, and the glasses and sash for Mayor McCheese. McDonalds on Letterland stationery. It would just be so McIronic.